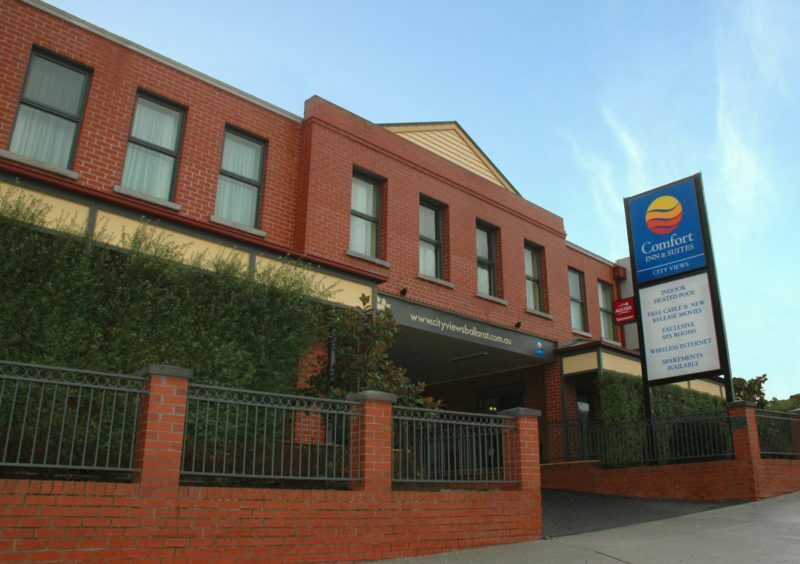 The Comfort Inn and Suites City Views is one of Ballarat’s contemporary properties located in the heart of Ballarat. The four star property is walking distance to the shopping precinct, restaurants, cafes, day spa’s, antique shops, The Art Gallery, cinema and Her Majesty’s Theatre. Sovereign Hill, The Wildlife Park, Kryal Castle, M.A.D.E. and Lake Wendouree are only a short drive away. 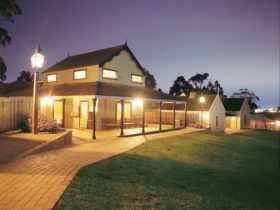 The beautifully appointed rooms feature all the modern comforts, including free wireless broadband internet and Foxtel. 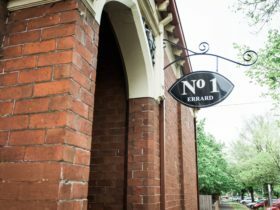 Guests can start the day with a continental or cooked a la carte room service breakfast and unwind after a long day with the room service dinner menu provided by a Ballarat caterer. Make your stay extra special with this Executive King Room. 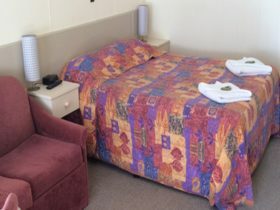 This room oozes comfort with a king size bed, luxurious duck feather doona, 40 inch television, full length spa and a separate shower. 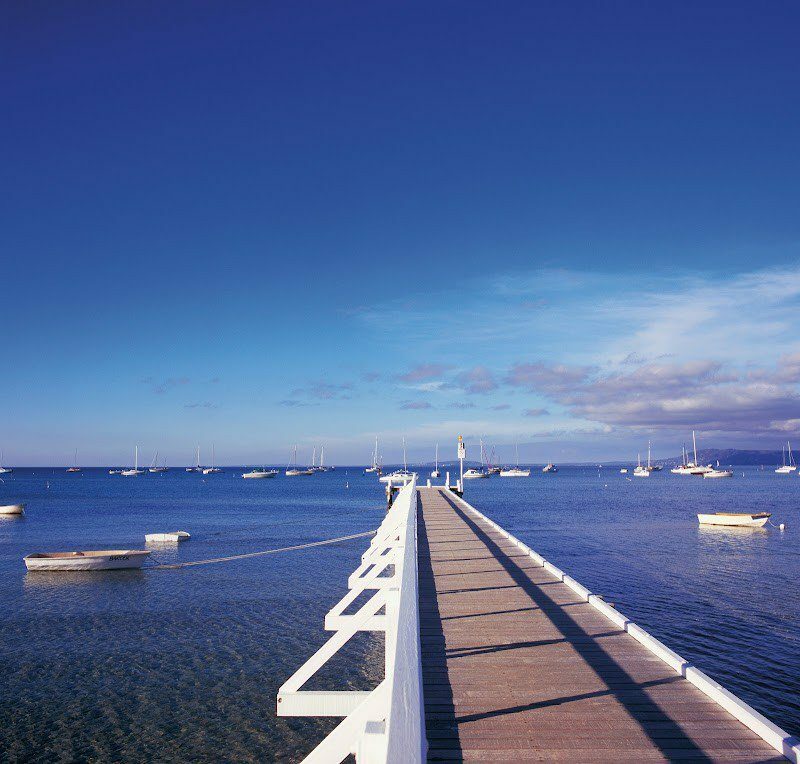 Enjoy the benefits such as wireless internet, free Foxtel, free parking and full access to the indoor heated pool. Bring the family and escape. Enjoy the space of this Standard Family Room which features one queen size bed and a 32 inch television in the first room and two single beds and a 22 inch television in the adjoining bedroom. Indulge in family fun at the indoor heated pool then tuck the kids in and settle in for a movie. 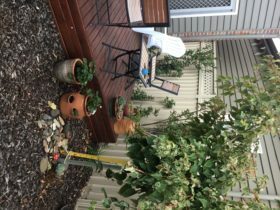 Enjoy the benefits such as wireless internet, free Foxtel and free parking. 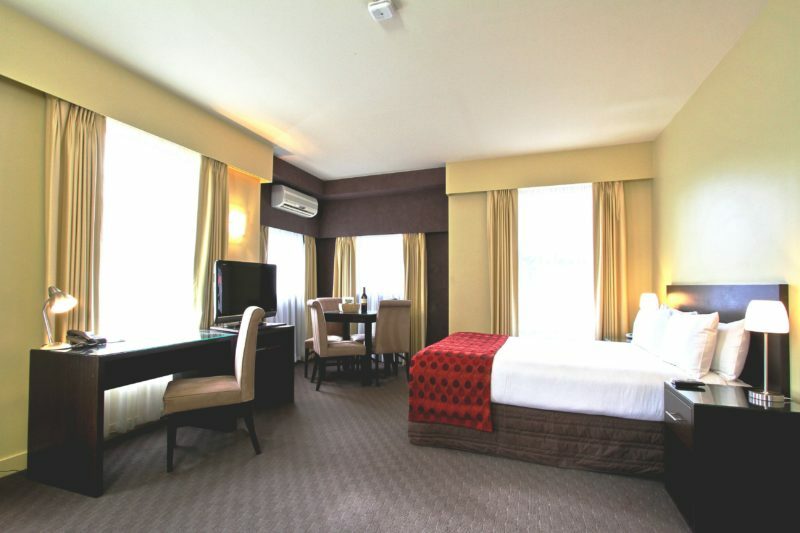 Unwind in this modern and spacious Standard Queen Room which features a queen size bed and a 32 inch television. Enjoy the benefits of wireless internet, free Foxtel, free parking and full access to the indoor heated pool. This room is perfect for all travellers. Bring the family and escape. Enjoy the space of this Deluxe Family Room which features one queen size bed, corner spa and a 32 inch television in the first room and two single beds and a 22 inch television in the adjoining bedroom. Indulge in family fun at the indoor heated pool then tuck the kids in and settle in for a movie. 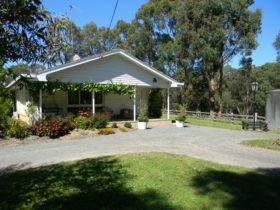 Enjoy the benefits such as wireless internet, free Foxtel and free parking. 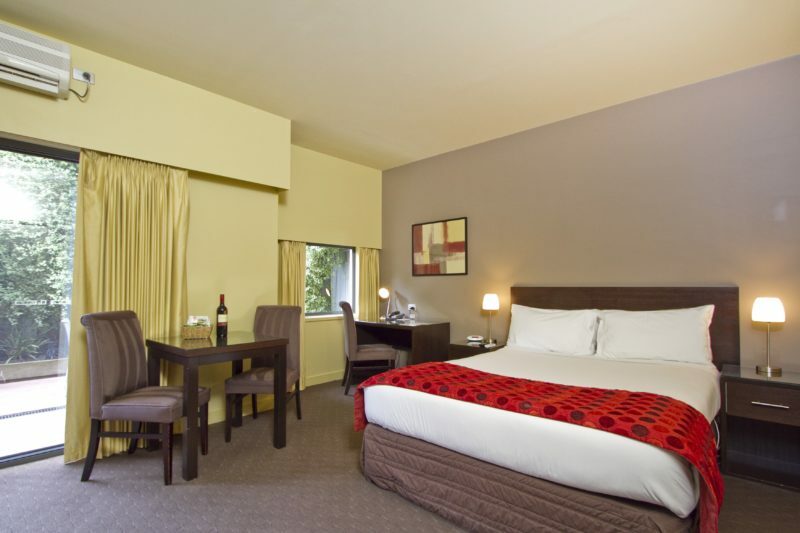 Unwind in this modern and spacious Standard Twin Room which features two queen size beds and a 32 inch television. Enjoy the benefits of wireless internet, free Foxtel, free parking and full access to the indoor heated pool. This room is perfect for all traveller type. Unwind in this modern and spacious Standard Queen Room which features disabled access, a queen size bed and a 32 inch television. Enjoy the benefits of wireless internet, free Foxtel, free parking and full access to the indoor heated pool. This room is perfect for all travellers. Treat yourself to the Deluxe Queen spa room which boasts a queen size bed, 32 inch television and a corner spa. Enjoy the benefits of wireless internet, free Foxtel, free parking and full access to the indoor heated pool. Prepare to enjoy.